A man in his 20s was bitten on his thigh in the latest attack. A MAN HAS been bitten on the leg by a shark in Australia’s Great Barrier Reef, authorities said today, the fourth such attack in six months at the popular tourist site. It is the fourth shark attack — including one fatality — in six months in the Whitsunday Islands region. 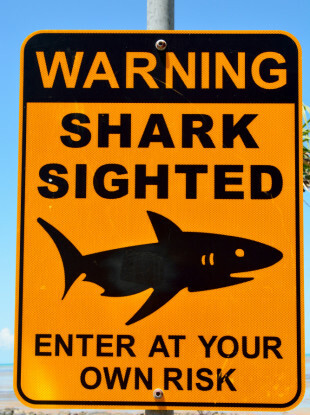 Australia has one of the world’s highest incidences of shark attacks, but fatalities remain rare. Email “Fourth shark attack in six months at Great Barrier Reef”. Feedback on “Fourth shark attack in six months at Great Barrier Reef”.